Toronto’s Pusher smashes his way back onto the scene just in time for summer! A previous remix of Major Lazer’s “Lean On” had been his masterpiece until now. “Clear” featuring the calming vocals of Mothica is an upbeat, giddy track that will slip right into the summer vibes that will be floating around in the upcoming months. Pusher‘s “Clear” is a signal of intent that he is ready to squeeze his way into the dance/EDM world. The collaboration with Mothica is savvy because she herself has a very bright future and this track could springboard both their careers. The artwork accompanying Pusher fits perfectly to this track and the unreal, sunshine filled world that his music takes you to. He cleverly combines a minimalist beat with floating synths and of course Mothica’s cloud like voice to create a track that can’t not make you feel happy and free. 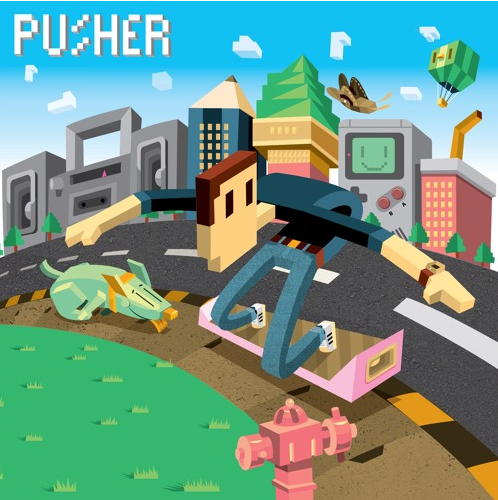 Pusher is soon to be signed by a record label (secret…suspense…) and his upcoming EP is also set to be released very soon. These are exciting times for the artist and we look forward to spinning his EP in the summer weather. Get “Clear” on iTunes now. UPDATE NOVEMBER 28: There’s now a video for the track. Watch it below!